Many companies provide matching gifts for their employees as a benefit of their employment. 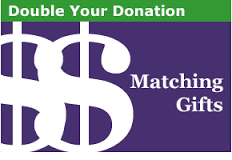 Matching gifts are an excellent way to double and sometimes triple the impact of your personal donation. If you are going to make a gift to the Diocesan Services Appeal, please check with your employer or HR department to see if they have a matching gift program. Not all companies provide matching gifts and some may only give to specific charities. The Diocese of Palm Beach is a recognized 501c3 non-profit. If you have any questions please contact Dave Walsh at 561-775-9590 or dwalsh@diocesepb.org.